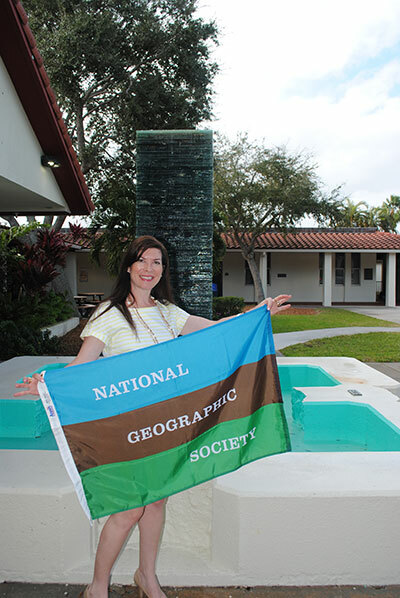 What does St. Edward’s School in Vero Beach have in common with the National Geographic Society? One very talented teacher. 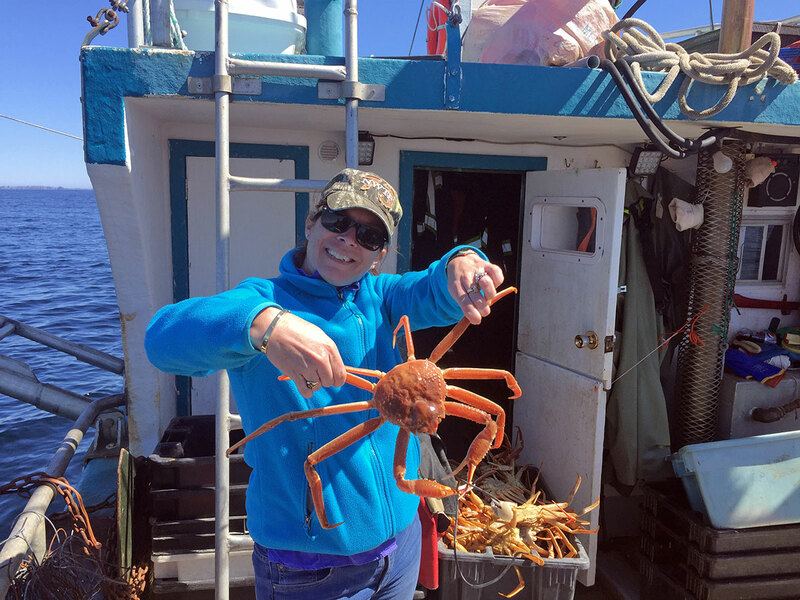 Dr. Kerryane Monahan, chair of the science department at St. Edward’s, has been awarded a fellowship with the National Geographic Society in the field of citizen science. Fellows work alongside National Geographic staff to ignite the spirit of exploration in the next generation, providing classroom resources and experiences that reach millions of students each year. It’s an honor extended to only eight individuals in all of North America. Without looking back, Monahan packed her bag, took a train to the airport and asked the ticket agent where the next flight was heading. Fort Lauderdale was the answer, and she jumped on board. She had no plan or destination, just a burning desire for change. Students with teacher: Front row, left to right, Elie Huryn, Audrey and Natalie Hill, Bridget Nelson and Kylie Oakes. Back row, left to right, Jackson Jennings, Emil Firat, Ritchie Appen, math department chair Shaun Hurley and Monahan. It was her lofty thinking and creativity that got her noticed at the National Geographic Society. “A few years ago, I was at a National Science Teachers Association conference and I saw a National Geographic booth, recruiting teachers to sign up for their beta certification program.” The National Geographic Society funds both the explorers and education programs. The education branch created a certification program where it developed a learning framework for education, which took in common core, state, and national standards. The program identifies a set of learning outcomes: attitudes, skills and knowledge. Some of the attitudes are curiosity, empowerment, observation and taking action. “They got me, hook line and sinker, because I want my kids to be curious and I want them to feel the power of taking action.” Needless to say, she signed up for the program, took the on-line classes and got the certification. Last August Monahan got the phone call that would change her life forever. “They told me I was selected as one of eight fellows in North America. I jumped up and down screaming. This is a dream come true. I am the luckiest teacher on earth!” She traveled to Washington, D.C., with the other education fellows to the National Geographic Society headquarters where they participated in a multi-day workshop. Even with her new-found celebrity status, Monahan is happily grounded in her role as a science teacher at St. Edward’s. The school proudly supports Monahan in her fellowship and is allowing her the time to participate in all it has to offer. 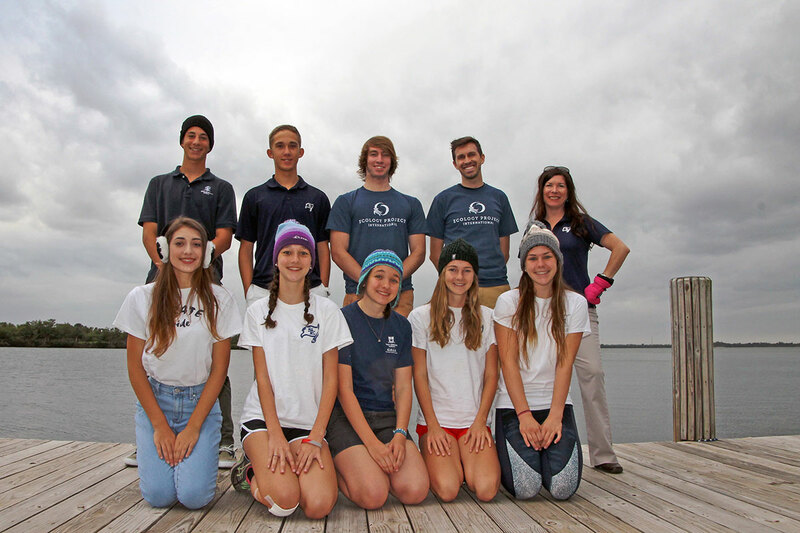 “I am totally embracing this opportunity to expose more people to science, but ultimately my job is to engage my students to identify the most pressing environmental issues and to empower them to know that they have the ability to change the world through action,” Monahan says. Education: Undergrad at Vassar, masters at Boston University School of Medicine with a degree in anatomy and neurobiology, doctorate at Lynn University in Boca Raton in leadership and teacher preparation in science education.